Every car has a moment in time where maintenance is required. 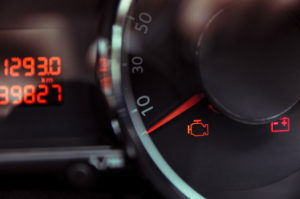 Most times you will notice a red light on dashboard illuminates and a little symbol of an engine appears with the text that says “Check Engine”. My Engine Light Came On While Driving, Get Car Engine Repair Services Near Me. based on the performance of your engine. If your check engine light is not turned on you should still get your engine routinely checked by a professional mechanic who can physically evaluate the automobile engine and internal parts. A check engine light will help to identify an issue based on components like a costly repair, a loose gas cap, or a bad catalytic converter. Be wary that your check engine can indicate a serious problem or a minor problem. All in all, the best way to prevent maintenance is to go to an auto mechanic who runs car diagnostics tests to find and prevent all car repairs needed for your make and model of automotive. When your check engine light is flashing, this usually indicates a serious problem that is affecting your vehicle’s ignition, emissions, and fuel. When your check engine light is on it’s time to stop by your Duluth Auto Repair Mechanics for a professional car diagnostic. 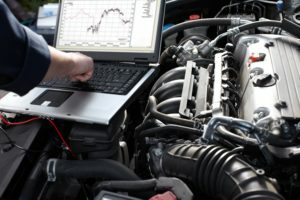 Southern Motor Works Auto professionals evaluate and investigate auto repair check engine lights by going through trouble shooting, and code error assessments. Don’t delay a car diagnostic testing or engine repairs because you could be in for a big cost escalation and more troubles up the road! Southern Motor Works is your trusted and experienced tire and auto service pros who will perform onboard diagnostics and determine what solutions are best for your check engine light illumination. While it is impossible to say exactly why a check engine light is on or flashing without a prior diagnostic and examination, we can assure that we can find the possible causes based on why your check engine light indicates. Your Check Engine Light Indicates; Engine vacuum leak; EGR valve problem; Failing oxygen sensor; Bad spark plug wires; A problem with your catalytic converter; Bad mass air flow sensor; Excessive gas consumption; release of air pollutants; A loose gas cap; Bad spark plug/ignition coil.